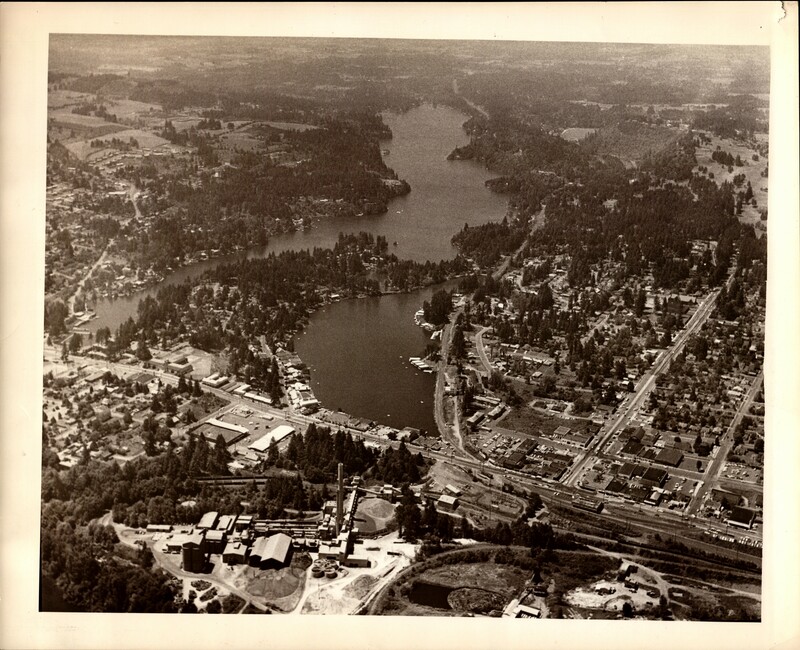 Description An aerial photograph of downtown Lake Oswego looking west. State Street (Route 43) runs across the bottom of the photo. The Oregon Portland Cement plant appears at the bottom of the photo, Lakewood Bay in the center, and the main lake at the top.